Water Timer WT 5 26452190 https://www.kaercher.com/tn/home-garden/watering-systems/automatic-watering/water-timer-wt-5-26452190.html The WT 5 water timer starts and stops garden watering completely independently. The watering time and duration can be programmed precisely as desired. 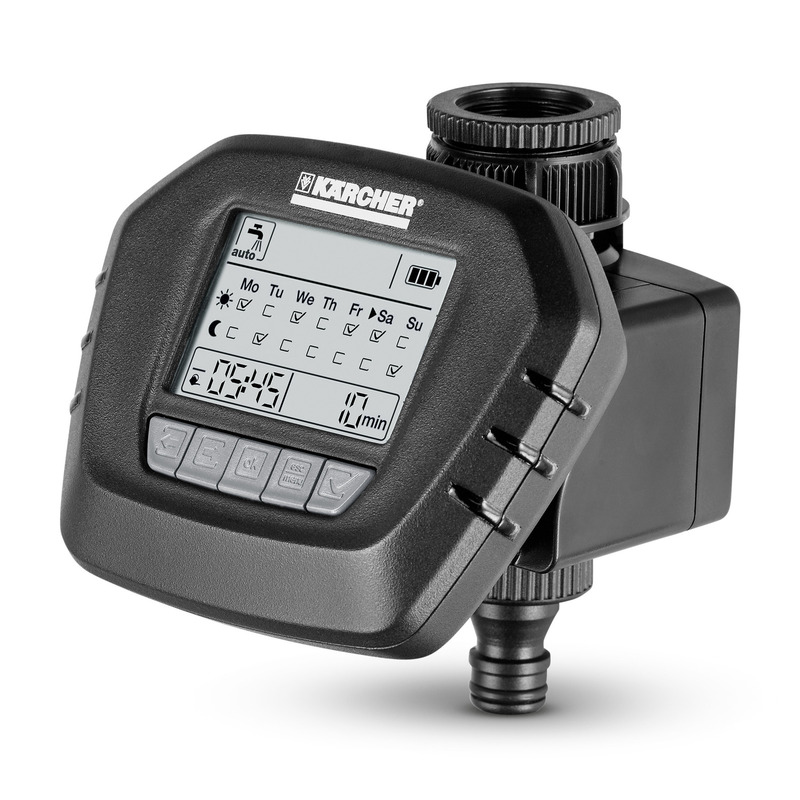 The WT 5 water timer has four selectable modes: automatic watering, manual watering, countdown watering, and 24-hour break. 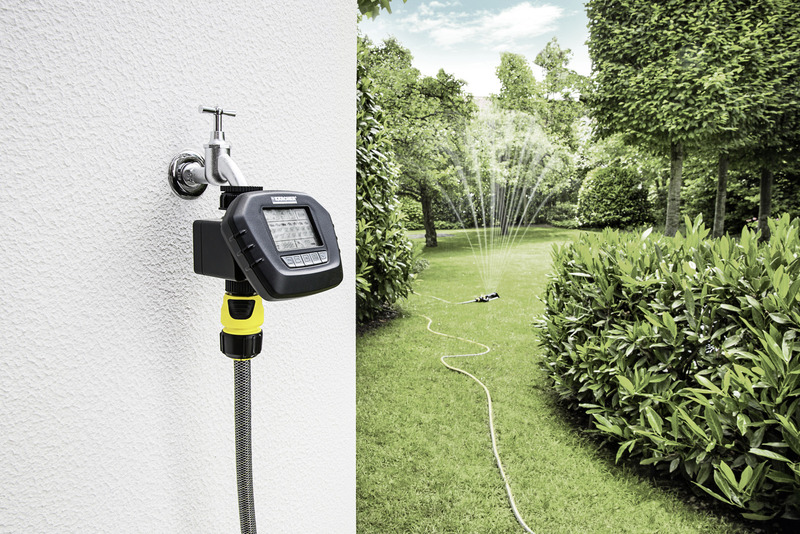 In automatic watering mode the WT 5 waters exactly as you wish at the programmed times with the previously set watering duration. The watering program can be activated for each day of the week and can run up to two cycles per day (morning and/or evening). The maximum watering duration is 120 minutes. Manual watering mode can be activated at any time. In countdown mode, the WT 5 waters for a defined period and stops watering automatically at the end of that period. The 24-hour break lets users interrupt the automatic watering program for up to 24 hours and can be cancelled at any time before the end of the 24-hour period. 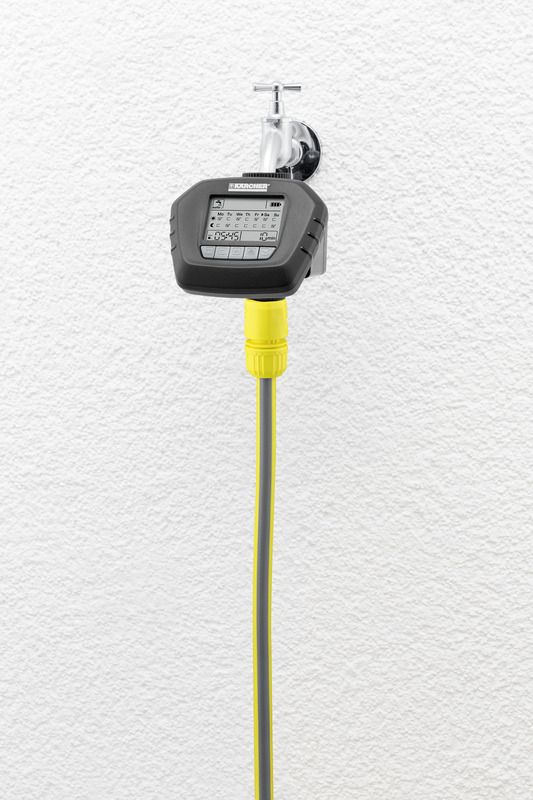 Tap adaptor and pre-filter included in the scope of delivery, 9-volt battery required (not included).